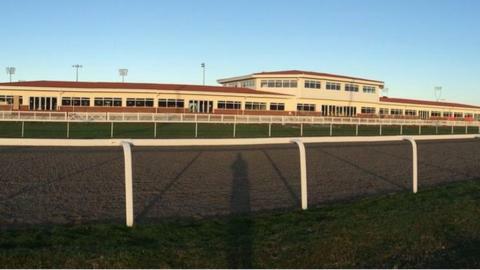 A new era dawns for British racing on Sunday when Chelmsford City racecourse hosts its first meeting. The all-weather Essex track opens after a six-year break following the closure of previous incarnation Great Leighs. Sunday will see a seven-race card before an invited audience of 800, with the course officially opening its doors to the general public on 22 January. "We've got more than 50 fixtures in our first year," said course managing director Phil Spiers on BBC Radio 4. "We're delighted we've managed to get it ready and are looking forward to it." Great Leighs closed in January 2009 after going into administration less than a year after it launched. The racecourse is now owned by a consortium, headed by Fred Done, the boss of bookmakers Betfred.